We have read the Hitler’s invasion proclamation by Senator Godswill Akpabio in several credible news media especially, Thisday and Vanguard Newspapers. The news reportage is to the effect that the former Minority Leader of the Senate had at the burial of his Wife’s grandmother in Enugu notified his audience “In 2019, Warsaw shall see war and war shall see Warsaw”. 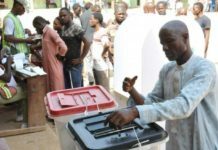 The reports specifically quoted him as saying again that “the impending 2019 election will be full scale war and that my party (APC), will win”. As a Party, having waited for more than 24 hours without any release from him or his office, refuting the said news report, we have concluded that he made the statement. The weight to be attached to this war cry becomes the next line of thought. Should the statement be taken with a pinch of salt and viewed as one of the straw clutching antics of a drowning man? Or should it be viewed seriously, as a blood thirsty motivated prophecy, announcing the plan of events to come? We should consider the similarity in the dramatis personae in both the historic Nazi invasion of Poland under the command of Hitler and the planned reincarnation of the carnage in Akwa Ibom State? Can we safely interpret the characters as presented by the Senator accordingly: Nazi-APC, Hitler-Buhari, Hitler’s Information Minister, Goebbels- Godswil Akpabio. It must be recalled that, the reason for Hitler’s invasion of Poland was to bring ‘Lebensraum’ or Living Space for the racially superior Germans to enslave the natives, and occupy their land. 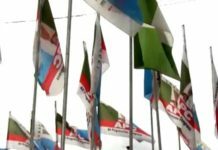 In contemporary Nigeria, Akwa Ibom has been listed by many leaders of the All Progressives Party, as one of the states that must be captured, at all cost. We can only therefore, like reasonable people, view this anti-people statement by Senator Akpabio as a confirmation of the war-ready disposition of the APC towards Akwa Ibom State. 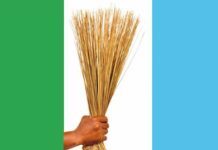 On several occasions, chieftains of that broom-wielding party have openly boasted that they will use federal might to win, or where that fails, simply announce the elections in their favour. 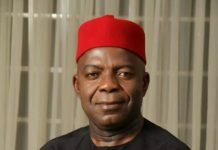 Senator Akpabio has also been quoted by many top politicians to have said, that the results of the 2019 election for Akwa Ibom State had already been written, noting that all that was left was its announcement. Recall further that the invasion of Poland, commenced on September 1, 1939 and Goebbles (whose name means to hover across or dance) gave a hint. 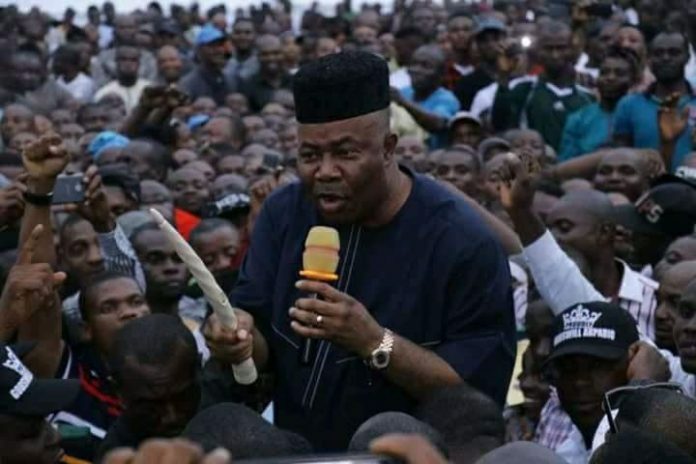 So can we take the hint given by Senator Akpabio (who recently hovered across the political divide) as an information on the insecurity, killings, assassinations that will be visited on Akwa Ibom from September 1, in preparation for the full scale security intimidation in 2019, as it was in Poland in 1939? Could these be mere coincidences of date, character and number? Or history being prompted to repeat itself, in the most crude and inhuman form? 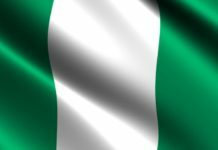 The political capture of Poland using security forces will not happen in Akwa Ibom State. May we refer everyone, especially Senator Akpabio to the expository writings in 2 Corinthians 10:3-4 “For though we live in the world, we do not wage war as the world does. For the weapons of our warfare are not carnal, but mighty through God, to the pulling down of strongholds”. When the Senator’s Nazi army arrives Akwa Ibom, they will meet a people fortified and protected by God’s army, which will frustrate the devices of the crafty and prevent them from performing their enterprise. We can assure that only God’s determinate counsel will prevail in the election of the leadership of our state and not the devilish conspiracy to grab power. In Akwa Ibom, that statement, that Warsaw saw war and war saw warsaw, will be converted to read, war saw God and God extinguished war. A statement of such magnitude should arouse the interest of security agencies, who should invite the senator for questioning and explanation. Additionally, should our state witness violence from September 2018 and during the elections, Senator Akpabio should be held responsible. As the ruling party in Akwa Ibom State since 1999, and under the current leadership of the holder of the Divine Mandate, Governor Udom Emmanuel, we do not encourage and will not subscribe to violence under any guise. We urge our party faithful to continue their state wide mobilization and sensitization rallies without fear, conscious that in this political ‘aluta’, our victoria is ascerta.